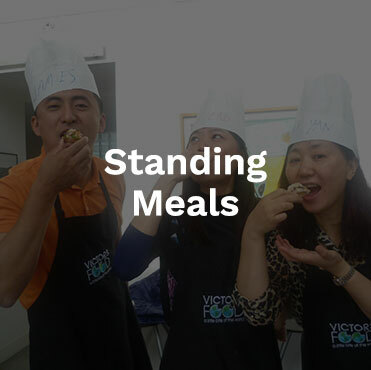 Here at VictorsFood, we use cooking as a fun, interactive, and accessible way of helping your employees work together as a team. This is done through our many ‘result-proven’ events and activities that develop your corporate team and their teamwork skills. 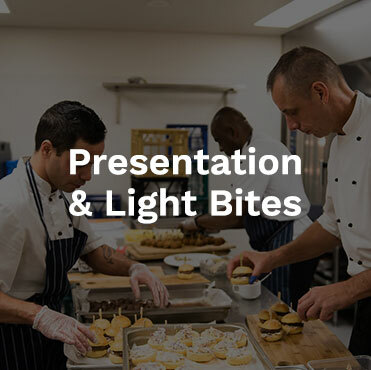 Our corporate team building events in Sydney include standing meals, seated meals, executive/leadership, presentation & light bites. Whether your company is a Fortune 500 or a Start-up, there is only one thing that can ultimately define you from your competitors – your team. That’s where we come in. We were awarded the Top 10 Sydney Cooking Schools and Australia’s Best Team Building Suppliers 2018 (six years & counting) by TimeOut Sydney. 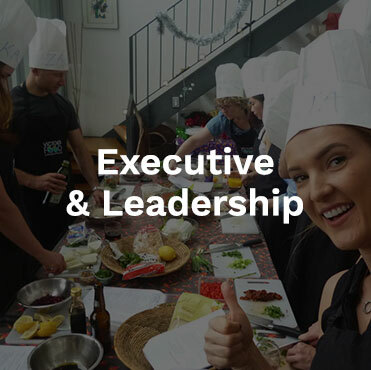 With our twenty-five years of proven experience in the cooking event industry, we are the most trusted corporate team building company in Sydney and Australia. Furthermore, we offer a “Satisfaction Guarantee or get your money back” offer. 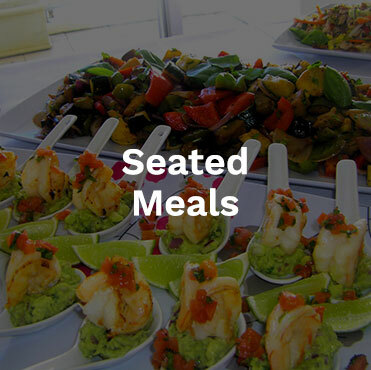 With hundreds of successful events, we guarantee you will be 100% satisfied with your cooking team building. If you are in search of something lighter and more fun, then perhaps a super cool Cooking Party is what you’re in need of? Our talented cooking team in Sydney will be more than happy to host your next cookout with friends, family or work mates! Let us come together and connect over delicious food, outpouring laughter and fulfilling stories. We have cooking classes that range from Malaysian to Nuevo Latino, Spanish, Italian, Mexican and more. Skilled cooks and novices enjoy our classes because we make sure that in our kitchen - you will always be The Star Chef. With a glass of fine, exquisite wine in hand, you can opt to create and toast to the cooked food that you will be immensely proud of. On the other hand, our Market Tours are about having a well-prepared meeting with the local growers, hearing their rich, beautiful and inspiring stories, and eating well. Get yourself a customised VictorsFood Tour and Cooking Event right at the markets! These Market Tours are great activities for health & wellness incentives, team building conference or inbound tours.